Creativeily is a fantastic WordPress theme that is built to be SEO friendly and highly responsive. 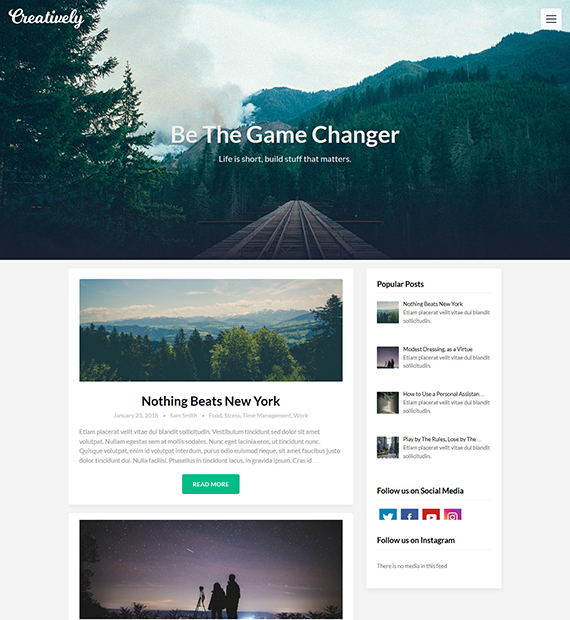 Featuring a clean and modern look, this theme is perfect for all kinds of sites including personal blogs, newspapers, magazines, and more. It was also designed with speed in mind and features a well-designed and clean code. Furthermore, the theme also comes with support for Google Adsense as well as Beaver Pagebuilder.